A Bait and Switch Fiesta: How Oklahoma State’s defense revealed chinks in Andrew Luck’s armor. I’ve always loved movies about con men. 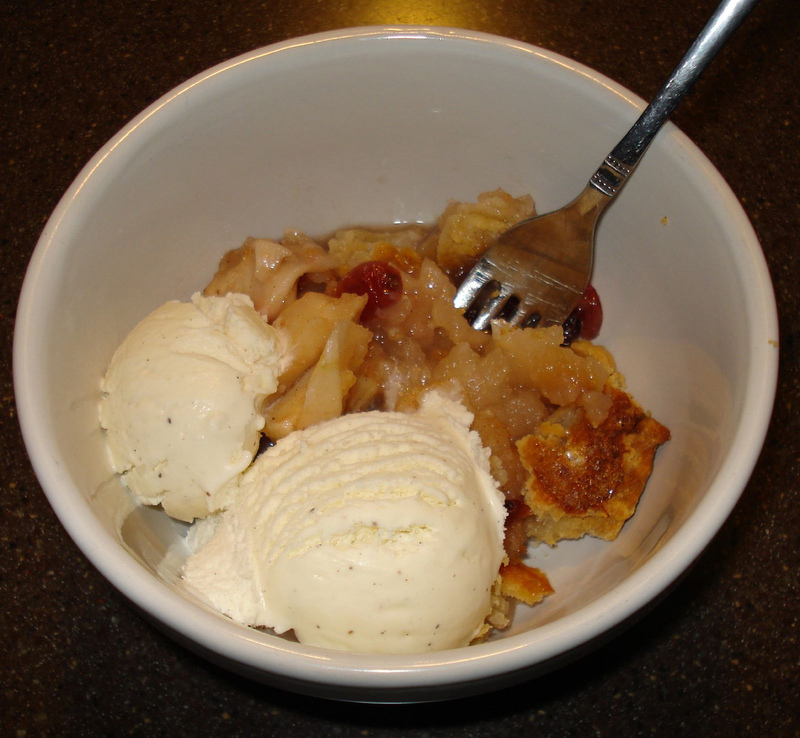 I think con men are as American as apple pie. -Bill Paxton, American actor and director. Good football is about successfully perpetrating a con. Almost every element of the game is designed to persuade the opponent to fall for a bait and switch. 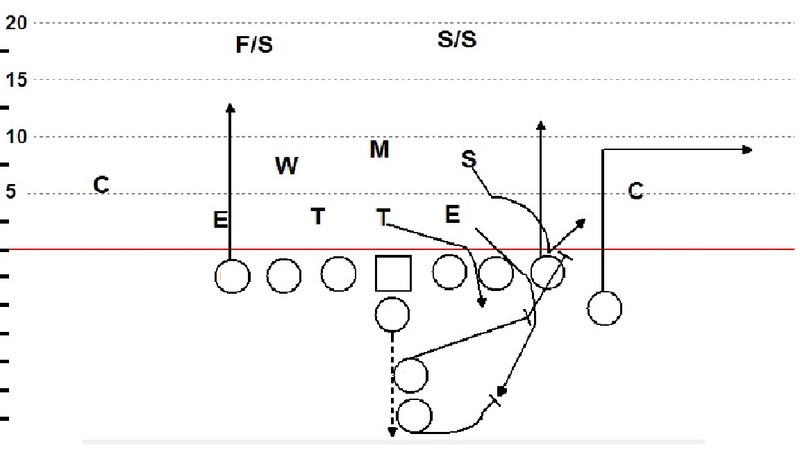 The most basic techniques of head fakes, dead legs, spin moves, and swim moves are used to execute strategies like play action passes, trap blocks, shotgun draws, and fire zone blitzes to trick opponents into a vulnerable position and ultimately earn a team an advantage. One of the best football games I saw last week was a seesaw affair in the Fiesta Bowl where Oklahoma State edged Stanford 41-38 in overtime. The most fascinating moments of the game came when OSU’s defense faced Stanford’s offense. Both units excel at the art of the bait and switch and the game’s first quarter was a display of strategic and technical savvy that makes football a riveting contest of trickery thinly disguised as a battle of brute force. If the Cardinals offense is a road gang of con men, Andrew Luck is in many ways a shill. Don’t get me wrong Luck is one of the best college quarterback prospects in the last 20-25 years. But the core strength of this offense is the line opening holes for its runners. Three points of pressure on the ball running behind a guard, between a tackle or around an end has been the main mode of ball transportation in Palo Alto. Stanford’s offense averaged nearly 481 yards and 44 points per contest during the season. While a fair share of that is Luck’s production, the play action pass is a significant strategic complement to the run. In contrast, OSU entered the game ranked 107th in total defense. But that’s a misleading indicator. Bill Young’s charges also created 42 turnovers – the best in college football this year. With the Stanford offense only giving up 15 turnovers heading into the contest – 10 of them Luck interceptions – the game featured one of college football’s most disruptive defenses against perhaps its most unflappable offense. Although Stanford’s production was not far from its average totals, OSU’s defense did enough in the first quarter to limit Stanford to a missed field goal, a punt, and an interception in three of the Cardinals’ first four possessions. Although Stanford’s offensive production in this game wasn’t far from its season average, this first quarter was arguably the difference in the ball game and the defensive schemes exposed chinks in Andrew Luck’s game. The first notable play was a 2nd and 6 play action pass from a 23-personnel, I-formation set [0:05 mark of video]. All three tight ends release on routes as Luck executes a play fake to the tailback. Luck's first read was the tight end on the line off right tackle on a seam route. The second read was the wing tight end on a short out. And the third read was the tight end off left tackle who slipped from his break but was likely running a seam or a deep out/corner. OSU’s defense is in its base 4-3 with both safeties over top and its corners three yards outside each defensive end at linebacker depth. At the snap, the strong side defensive tackle and linebacker loops outside the right guard to pressure the quarterback between the gap outside right tackle. What we learn as the play develops is that the defense isn’t sending the linebacker on a blitz, they just want Luck to think so. OSU knows the fullback and tailback are assigned to the edge and the defense did not want the backs to double-team the defensive end. So OSU sends the linebacker around right tackle. The key to this rush is the defensive end. Before he takes the rush lane to the outside, he delivers a shot on the inside tight end and maintains a path straight ahead to the oncoming fullback before he veers further outside. This might appear inconsequential, but the initial path of this defensive end’s rush accomplishes a number of things for the OSU defense. First, the defensive end forces the fullback to stay close to the line, which gives the linebacker time to follow behind him with what appears to be a blitz. When the defensive end veers outside, the fullback can’t slide with the defender for fear that he will miss what he thinks is the linebacker blitzing up the middle. This allows the defensive end to get the one-on-one mismatch with the running back. Because the defensive end’s initial move up field draws the fullback in the hole and the linebacker following behind the defensive end keeps him there, the fullback no longer has a chance to work outside as a potential outlet receiver. If the fullback slides outside to help double-team the defensive end, the linebacker earns a free path to the quarterback. If the fullback ignores the defensive end and runs a quick out, the quarterback has little time to deliver the ball – even on a short pass. These are all positive outcomes for the defense because its players maintain disciplined rush lanes. Once the fullback commits to the linebacker, the linebacker ends his pursuit to the quarterback and drops into the flat. At this point the quarterback is at the end of his drop and the strong safety and middle linebacker are covering his first read high-low. As Luck takes his first hitch step and looks to the weak side, he sees that weak side tight end is still recovering from a slip during his release. He is not close to making his break. This is why it is unclear whether the tight end was supposed to run a deep seam, out, or corner route. It neither matters to us or Luck now, because at this point the strong side defensive end has knocked the tailback to the ground and is 2-3 yards away from the Stanford quarterback. As Luck begins his second hitch step, he feels the unblocked pressure from the defensive end, ducks inside the rusher, and slides to the right flat for a five-yard gain. Although Luck’s run sets up a favorable 3rd and 1 situation, the quarterback takes a hard shot to his chin as he attempts to dive for the first down marker. Luck is a physical runner for a quarterback, but this is not the kind of play NFL coaches and teammates will want to see from him. He is not Cam Newton or Tim Tebow and within five years, I believe they’ll be trying to get out of the business of running the ball like fullbacks with speed. Getting hit in the chops is the quickest way to missing 2-3 weeks with a concussion. Despite good ball security on this play, Luck is also more prone to taking a shot to the football and losing possession. When a defense can get a quarterback like Luck to use his legs rather than his arm, its generally a victory for the unit. The weak side tight end off left tackle makes a seal block to the inside before releasing down field into a shallow crossing route. The strong side tight end on the wing runs a deep post to the end zone. The inside tight end on the strong side runs a 15-yard corner route. 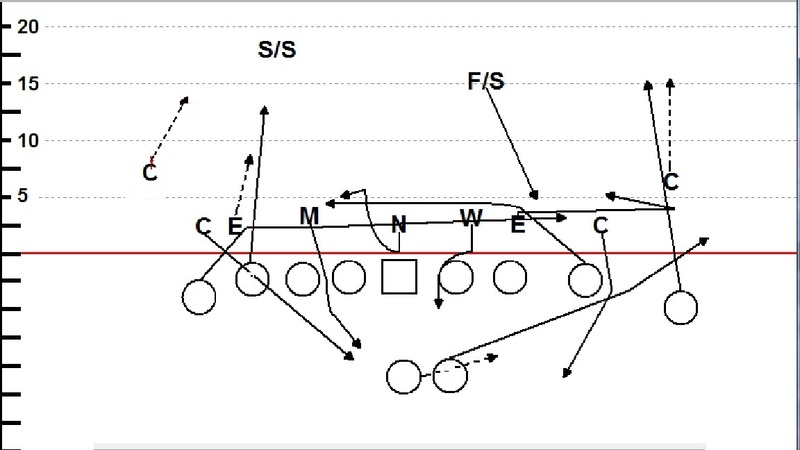 The fullback releases across the formation on a drag route to the right flat. To sell the run on this play, the right guard pulls to left end and then cuts the backside pressure. OSU’s 4-3 foils this play action pass when it blitzes the strong side linebacker tight to the right shoulder of the center. This forces the right tackle to slide inside and make the block. The linebacker’s rush lane discipline gives the defensive end a free run to the quarterback. A defensive end running free on a bootleg is something most offenses expect to happen, but there is usually an outlet receiver slipping behind the DE into the flat on a drag route. Because of the strong safety’s quick reaction, this is not the case. Oklahoma State accounts for the fullback with the strong safety, who slides into the flat and positions himself between the fullback and any possible window Luck can reasonably throw the ball to his teammate slipping into the flat. By the time Luck turns his head away from the play fake and looks down field, the fullback is covered, the inside tight end is not close to his break on the cross, and the weak side tight end on the crossing route will require Luck to throw the ball across his body on the run. Rarely a good idea. Luck should have thrown the ball out of bounds, but he makes the worst possible decision and throws the ball across his body – not to the tight end on the shallow cross, but to the tight end running the post – and does so off his back foot. Although the pass falls just outside the free safety and nearly into the outstretched arm of the tight end in the end zone, the decision was foolish. This is essentially an up for grabs throw the quarterback makes across his body into the middle of the field on first down just outside the red zone. Luck makes a lot of great decisions but like most quarterback prospects, pressure can create a momentary lapse in football IQ. Some passers become too aggressive while others become gun shy. As an evaluator I’d rather see Luck’s aggressive response, but there are moments where he is too aggressive for the good of the team in a given situation. This was one of those times. The Stanford quarterback also lacks the “plus arm” of Matt Stafford to make this type of throw with consistent success. His arm is closer to Matt Ryan’s. Forcing Luck into an off-balance throw is another win for the defense – any defense. In fact, the interception he throws later in the quarter is intended for a receiver nearly 20 yards to the sideline. While Luck is rolling right, the pass hangs in the air long enough for the cornerback to jump the route and come over the top of the receiver for the interception [2:14 mark of the video]. Although the corner and safety did a great job of reading and reacting to this reduced split tandem route on the weak side of the formation, it was Luck’s throw that made the interception possible. As good as Luck is at reading defenses, OSU consistently displayed in the first quarter that there are ways to paint the quarterback into a corner. When Stanford faces a 3rd and 7 from the OSU 25 with 11:46 left in the first quarter, it comes to the line in an 11-personnel, shotgun set with twin receivers to the weak side and a slot receiver to the strong side [0:43 mark of video]. OSU uses three down linemen, two linebackers, and six defensive backs. What they will execute is a variant of the fire zone blitz. OSU blitzes the corners from both edges to contain the outside of the pocket at the same time it sends both linebackers inside. This blitz at first appears to be a sellout, but as quick as all three down linemen begin their initial rush up field, they change direction and drop into coverage. 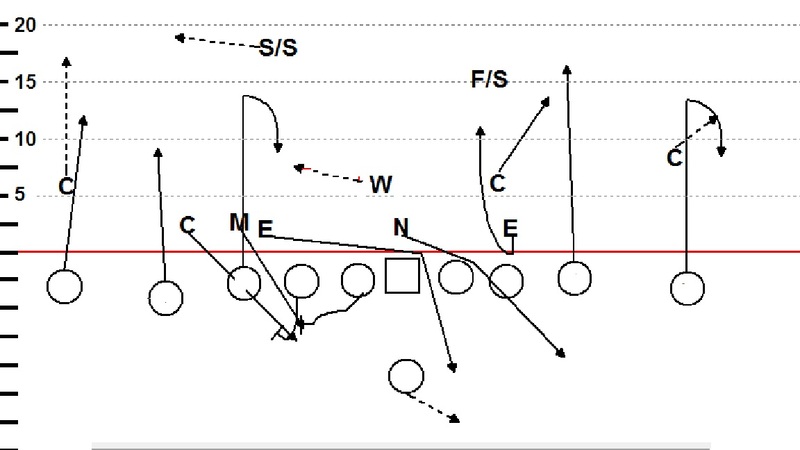 Although not a traditional 3-3-5 fire zone look, the fire zone is exactly what this blitz is. The linebacker’s ability to generate a push up the middle combined with the smooth, deep drops of the three down linemen leave Luck with little time and fewer choices. He looks to the weak side slot receiver breaking on a cross, but the nose tackle is deep enough to cover it. The second read to Luck’s right is still a few steps from his break and good coverage is already over top. At this point Luck begins to feel the strong side blitz of the linebacker and corner. His only remaining option is to climb the pocket, look back to the middle, and hit the strong side slot receiver on the cross underneath the shallow coverage. The receiver catches the ball underneath and the right defensive end leaves his flat responsibility of the tailback to meet the free safety charging up field to limit the receiver to gain of two yards and force a 41-yard field goal attempt that is no good. The next series, we see the same OSU 3-2-6 package, but a completely different fire zone variant a 3rd and 7 from the OSU 35 with 9:20 in the first quarter. Stanford comes to the line in a 2×3, empty shotgun set [1:10 mark of video]. OSU counters by sending four to the quarterback. But this time OSU isn’t trading defensive linemen with cornerbacks and linebackers. This blitz is features a corner from the strong side, the weak side defensive end dropping into coverage, and the strong side defensive end executing a perfect twist to sack Luck for an eight-yard loss. 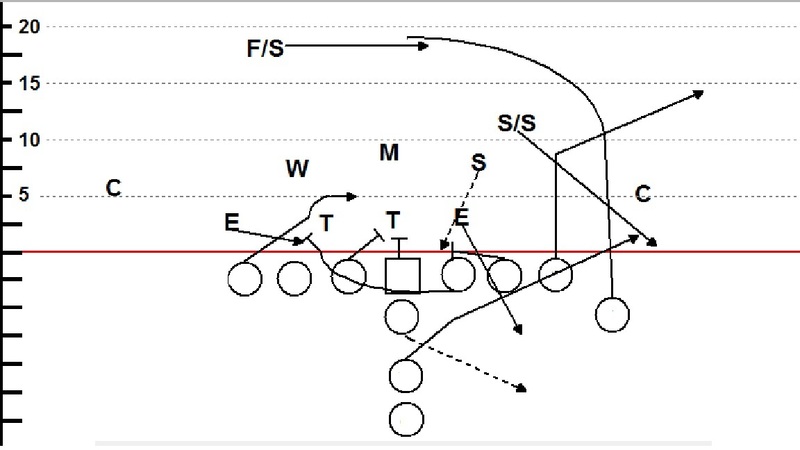 The twist is the integral part of this play because it requires disciplined rush lanes from all four defenders and an assist from the right defensive end dropping into zone coverage. The key player is the nose tackle who must get outside contain on the right side of the line in place of right defensive end who is dropping into coverage after taking a strong jab step towards the right tackle to force the offensive lineman to drop back. The right defensive end’s initial move puts the nose tackle one-on-one with the right guard and he engages the guard with both arms, generating a push to the outside with the aim of drawing the right tackle inside to assist. While this is happening, the left defensive end who begins the play outside the left tackle, twists inside and across the left side of the line to the right shoulder of the center. This move is called a “super stick” and it’s common in a variety of blitz concepts where a team has an athletic defensive end. The nose tackle’s disciplined rush to the outside draws the double team and forces the right guard to stay on him as long as possible. This is what helps the defensive end reach and engage the center one-on-one. By the time the right guard hands off the nose tackle to the right tackle there is no time for him to help the center. The left defensive end has already achieved enough penetration through the A gap to split the right guard and sack Luck, who had to stop his release upon seeing the zone coverage dropping to the right flat. OSU’s great execution on this third down blitz forces a Stanford punt. The Cardinals finally turn the tables on the Cowboys in the third series with an excellent play action pass that creates a blown coverage for a 53-yard touchdown with 4:25 in the first quarter [1:43 mark of the video] but for most of the first quarter, OSU’s defensive packages both confused and limited the most hyped quarterback prospect in recent memory. Fire zone blitz concepts can make most college passers feeling like the mark in a con game – even Mr. Luck. To the Stanford quarterback’s credit, he managed to identify where the man-on-man advantage was for the offense as the game progressed and then run or pass to that area successfully. However, NFL defenses have the athletes and the schemes to paint quarterbacks into corners all game long. Luck will have to be more patient with giving up on a play to live another down or get quicker at spotting the problem and finding a solution he can execute. This was incredible, Matt. I loved looking at the play, reading your explanation and then looking at the play again, and again. It’s so easy to see what’s developing when you describing it, and so tough to pick it out in real time. If you can find the time, it’d be great to see a play or two later in the game, when you say Luck had made adjustments and begun to identify man-to-man advantages. Was it because he was seeing the same basic bait and switch repeatedly? Was it just the normal evolution of seeing his guys match up with theirs over the course of the game? Can you tell? Thanks for this. Wish I could sit and watch film with you. Thanks for the comment although I think you might be nitpicking more than I. On that play I wasn’t pointing out anything as a fatal flaw. I’m just pointing out that defensively speaking, if you can get a quarterback running and pinned to one side of the field it’s a good thing. Luck is a fine prospect, just pointing out a few examples of what a defense can do to limit him: force him to run, momentarily make him think twice about throwing, make him throw on the move across his body, etc.